Well friends, I can't wait to see what you will all do with this one. There are so many variation options, I can't simply try them all. If I did, my little girl would have way too many clothes. Please share pictures with me when you get a creation finished. 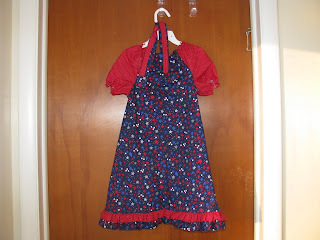 The Pretty Peasant Dress is my little girl's favorite, as a shirt, too. We have yet to do a nightgown with it, but will soon. She even did her first gathering stitch this week; and almost solo. I ran the machine pedal. Some machines have a speed setting, mine does not. She was so very proud of sewing "by herself" at 5. She's one of those children who "can do anything that anyone else can do", at least that's what she thinks, lol. I'm not sure which pattern will come up next. It will either be the Three Tiered Skirt, or the Ribbons and Bows Jumper. The skirt pattern gets tested next Saturday, when I teach it to the ladies at church. I'm having a lot of fun. I hope you are also. If you have any questions, concerns, or comments, please, please email me. My hope in all of this is that you are encouraged and empowered to create clothing for/with your family and have fun doing it. Then the craft of clothing creation can go on to the next generation. 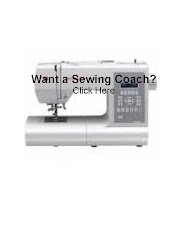 And, who knows maybe one of you or your daughters will start up your own cottage sewing business. That would be wonderful. Don't forget to send those photos my way. I would love to have the tiered dress pattern next if I have the option of voting! The Pretty Peasant Dress is cute.